Mississippi Man Charged With Murder Of Two Nuns : The Two-Way Nuns Paula Merrill and Margaret Held, both 68, worked as nurse practitioners providing medical care at a clinic in Holmes County, one of the poorest in the country. They were found dead on Thursday. 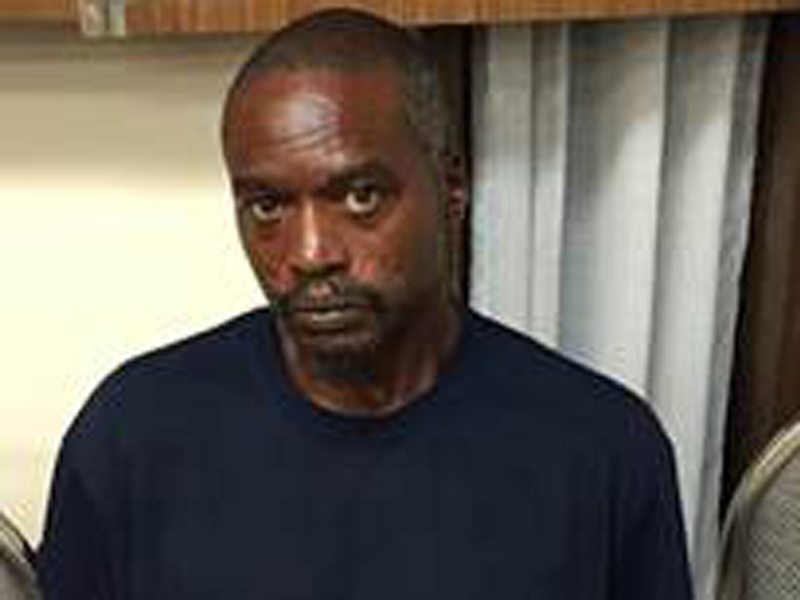 Rodney Earl Sanders, 46, of Kosciusko, who has been charged with two counts of capital murder in connection with the killing of Sister Margaret Held and Sister Paula Merrill. Mississippi law enforcement has charged a local man with two counts of capital murder after two nuns were found dead in their home on Thursday. Sister Paula Merrill and Sister Margaret Held, both 68, worked as nurse practitioners providing medical care at a clinic in Holmes County, one of the poorest in the country. Their bodies "were discovered after they failed to show up for work at a clinic in Lexington, Mississippi, about 10 miles from where they lived," as The Associated Press reported. Suspect Rodney Earl Sanders, 46, "was developed as a person of interest early on in the investigation," Mississippi Department of Public Safety Director Jimmy Jordan said in a statement. It reads: "after an exhaustive interview Friday evening, MBI agents were able to develop enough information to charge Sanders. Sanders is now "being held in an undisclosed detention center awaiting his initial court appearance," according to the MBI. And as The Associated Press reported, "their stolen car was found abandoned a mile from their home, and there were signs of a break-in, but police haven't disclosed a motive." Police initially offered a reward of $2,500 for information but later raised that figure to $22,500, as Mississippi Department of Public Safety Director told reporters. Meanwhile, the small town of Durant is struggling to come to grips with the tragedy. "A small town like this, it's devastating our community," Durant Assistant Police Chief James Lee told The Clarion-Ledger. "People are concerned, but to our credit, it takes a tragedy to outline heroes. People from all denominations, all faiths, all races have pulled together in Durant and they're helping each other." As the AP reported, the deaths "leave a gaping hole in what was already a strapped health care system." It's unclear what will happen to their clinic. Genette Pierce, who works at a neighboring business, told the wire service, "Their patients – all of them – they're going to be lost without them right now." A statement from the School Sisters of St. Francis, the religious community that Held belonged to, says she had been a member for 49 years "and lived her ministry caring for and healing the poor." Merrill belonged to the Sisters of Charity of Nazereth, and in a statement to the community, SCN President Susan Gatz said "pray in gratitude for the precious lives of Sisters Paula and Margaret ... they served the poor so well. Because we are gospel women, please also pray for the perpetrators."